Bridget Heos Do You Really Want to Visit a Rainforest? 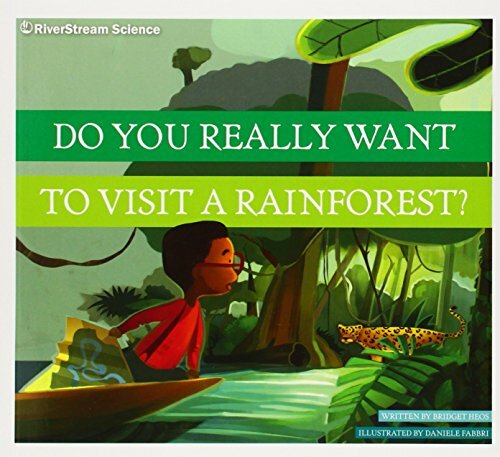 Invites readers to explore the Amazon Rainforest, discovering what the climate is like and encountering some of the many species of animals and plants that live in a tropical rainforest. 2. Do You Really Want to Visit a Rainforest? 4. Do You Really Want to Visit a Rainforest? 6. Do You Really Want to Visit a Rainforest? 7. Do You Really Want to Visit a Rainforest? 8. Do You Really Want to Visit a Rainforest? 9. Do You Really Want to Visit a Rainforest? 10. Do You Really Want to Visit a Rainforest?